The PSR series power supplies are regulated DC power supplies capable of operating from 100-240 VAC input, 50/60 Hz. The PSR power supplies include a shunt regulator and blocking diode. They can be used with any controller/amplifier combination to provide a complete solution for single- or multi-axis applications. The PSR series are available in two models: PSR-12-24 and PSR-6-48. 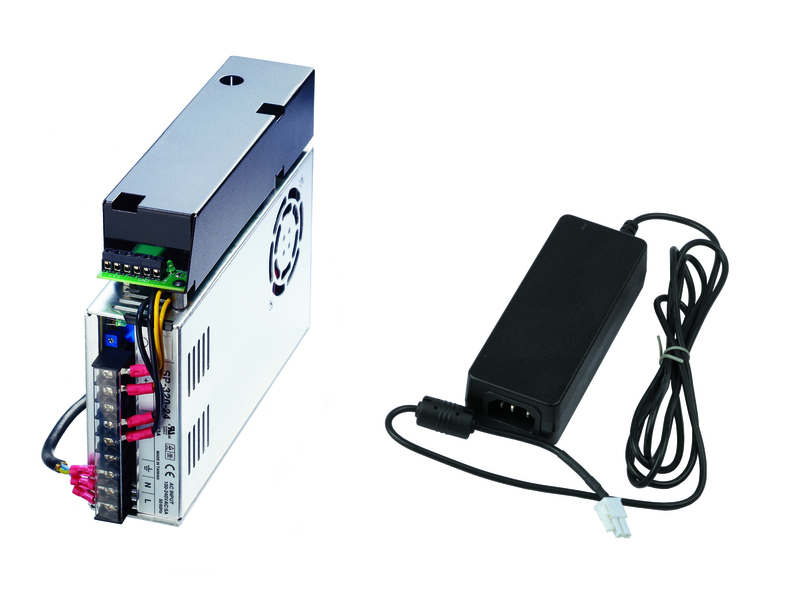 The PS series power supplies are small low power supplies that come with a 2pin Molex Mini-Fit, Jr. connector to allow for mating directly to a DMC-40x0, 41x3 or the RIO Pocket PLC. The PS-0.25-24 is only recommended for the RIO or DMC without amplifiers due to the low power capability. Small Package Size 9" X 6.5" X 2"